Reports of adverse reactions to spot-on pesticides increased 53% from 2007-2008. 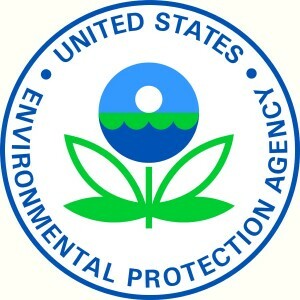 That’s a big increase and the EPA launched a study. Spot-on pesticides are those flea & tick treatments you apply between pet’s shoulder blades or down their spine like Defend ExSpot, Sergent’s Squeeze-On, Hartz Flea & Tick Drops, Bio Spot, Advantage, Frontline, etc. 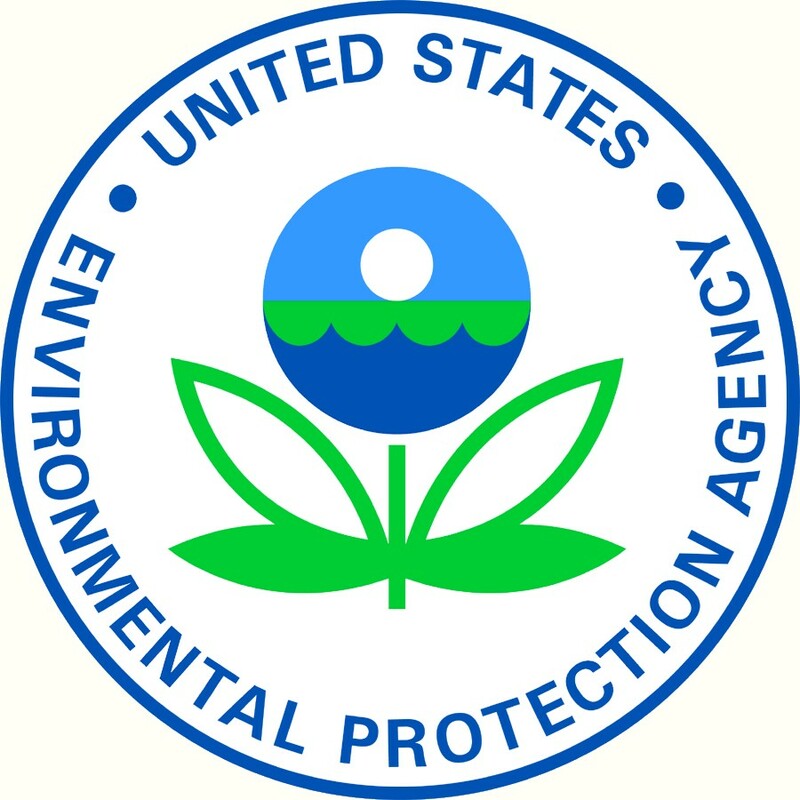 Spot-on products fall under the purview of the EPA instead of the FDA because they are a pesticide, not a medication. A scary ramification of EPA oversight instead of FDA oversight is that there’s been no post-market tracking of the products. That means once they’re registered by their manufacturer, these spot-on pesticides haven’t been monitored. Not good, but things are changing. Consult your veterinarian about the best way to to protect your pets from fleas and ticks and whether pesticides are even needed. Use extra care before use on weak, aged, medicated, sick, pregnant, or nursing pets, or on pets that have previously shown signs of sensitivity to pesticide products. 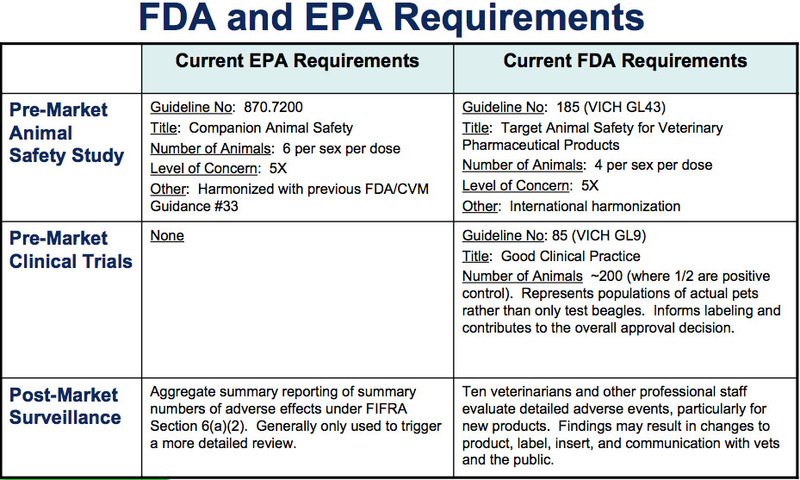 If you use a spot-on product or any other pesticide on your pet, carefully read and follow the product label. Use flea and tick control products only on the animal specified by the product label – for example, dog products for dogs only and cat products for cats only. 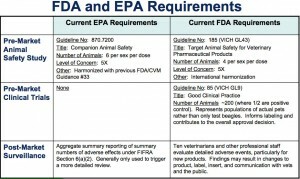 Follow any label prohibitions against use on weak, aged, medicated, sick, pregnant, or nursing pets, or on pets that have previously shown sensitivity to pesticide products. Apply only the amount indicated for the size of the animal being treated. Do not apply to kittens or puppies unless the product label specifically allows this treatment. Pay attention to the age restrictions for puppies and kittens on the label. Keep the package with the product container (such as individual applicator tubes). Also keep the package after treatment in case adverse effects occur. 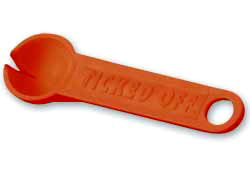 The Ticked Off tick remover is a simple, but clever tool for getting ticks off your animals. There is a notch in the spoon-like part that you use to slide the tick out of the skin. The instructions are careful to note that you slide the tool. You don’t use it to lift or pry the tick out. I’ve written about tick removal before. By sure to check out the video in the previous post on how to get the whole tick out with just one finger (wear gloves). And you can read up on twelve of the diseases ticks can transmit.